The Natural Burial Company's Sustainable Cemetery Management team offers sustainable cemetery management and development consulting to cemeteries and funeral service providers. We work with both cemetery consultants and management to offer advice on the feasibility of adding natural burial services to your site, and specialize in the conversion of existing cemeteries to natural techniques. Drawing upon the expertise of our senior technical adviser, Ken West, founder of the first city-owned UK cemetery to offer natural burial in a variety of forms and considered the "Grandfather of Natural Burial," our UK/US team provides support to cemetery managers and public policy planners who want to add options in keeping with the emerging market (and governmental) demand for environmentally friendly operations. Our unique "sustainable business" approach helps clients address the bottom-line fiscal, operations, and bereavement components of a cemetery, as well as the unique ecological needs of any particular site. and balances restoration-ecology concepts with clear business goals, ensuring that the cemetery's operation takes into account the civic requirement that a cemetery operate on its own, in perpetuity. Combined with the services of a good cemetery planner (we work with several), cemeteries can add new memorial options, beautify their properties, and shift techniques to more natural methods with the guidance we offer. With proper planning, they can become dynamic vital parts of a community, changing readily with the times. Independent business entrepreneur and alternative lifestyle enthusiast for over 30 years, Beal is an outspoken advocate for natural burial in existing cemeteries throughout the world. She's the founder of the Natural Burial Company, a ground-breaking supplier of biodegradable coffins and natural burial goods from respected weavers and manufacturers in the UK, Asia, and Europe, and designer of various innovative funeral products including the Shrouding Board(TM), the Caskit(TM) and the Earth Cell(TM). Prior to founding the company in 2004, Beal worked in the sustainable agriculture, organic foods and natural products sectors, actively contributing to the alternative health education and advocacy, organic standards, environmental awareness, and certification movements from the mid-80's until the present. After touring natural burial sites in the UK and studying the available science worldwide, she formed an alliance with Ken West, Peter Rock and other funeral and ecological experts to help adapt the UK's successful techniques to North American conditions and needs. These techniques, coupled with Beals' extensive background in both natural product standards, consumer desire, and business planning strategy and implementation, create a unique and broad platform that helps SCMG clients "think around all the corners" and plan an effective and profitable entry into more sustainable end-of-life practices. Spearheading the Sustainable Cemetery Management Group, Beal guides the team and foscuses strongly on existing cemetery conversion, working with cemetery operators and funeral service providers to provide the rationale and implementation frameworks that help existing cemeteries, municipalities, risk managers, and policy planners anticipate the obstacles, assess the long-term benefits, and begin the transition to improved funeral service and cemetery options that increase use, access, habitat, and existing cemetery capacity while reducing financial exposure to cemetery decline and failure over the long term. A trained horticulturalist and respected cemetery and crematoria manager with 45 years experience working primarily in the municipal and public-service sectors, West devised and opened the first natural burial site in the United Kingdom for the City of Carlisle and instigated the Charter for the Bereaved. He has created natural burial programs for several city-run cemeteries in the UK, enabling them to transition to more natural techniques. He advises the UK Government on cemetery provision, crematoria standards, and carbon footprinting, and was awarded the MBE by His Royal Highness Prince Charles in 2002 for services to burial and cremation. Manufacturer of the Ecopod coffin and Sales Director of the Natural Burial Company, Rock is well known within the natural burial and funeral movements in the UK. Founder of One to One Business Support, he is an established business consultant and project manager, working with a wide rage of market sectors and businesses, including ARKA Original Funerals, one of the UK’s most respected (and first!) 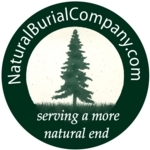 all-natural funeral businesses in Brighton, UK. Rock has an extensive wholesale sales background, as well as a decade of University-based business development program management. He was a forensics technician in the UK and is not unfamiliar with the technical aspects of body management. Rock's project management and business development experience can help SCMG's larger clients bring focus to a highly complex project that can, with the right teamwork, become a profitable endeavor for cemetery groups that wish to convert. See https://www.peterrock.co.uk and https://www.ecopod.co.uk. A trained civil engineer, land manager, and contract administrator with many years of experience implementing ecological restoration and management projects, mainly across the American West. Clarke specializes in applying current ecological research to landowner goals, sharing this information and developing staff to implement them effectively. Working for federal, state and local government as well as individuals, industry, trusts and non-profits has provided him with a unique insight into the challenges of making restoration work - i.e., be revenue neutral or even profitable - in the long-run. An experienced non-profit volunteer and board member, his technical skills in research, administration, construction and restoration have regularly been put to use by local and national conservation organizations in developing their projects. Much of his recent work has focused on the links between parks/open spacedesign, savannah restoration, and fire ecology.